Elite Holiday Homes has been featured in the Bulletin a few times over the past three months so the challenge was to come up with something unique that would be of interest to local readers. We developed a news story on Elite’s recent inclusion on television show Dream Home Ideas which will feature several of the luxury homes. 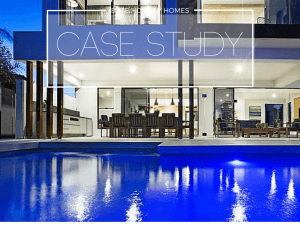 We wrote a pitch exclusively for the Gold Coast Bulletin informing them of Elite’s upcoming appearance on Dream Home Ideas and the exposure the Gold Coast would receive on national TV. The story was pitched to a specific journalist along with several images of the homes and picked up immediately. A news article in the front pages of Gold Coast Bulletin showcasing several Elite Holiday Homes and further exposure within the local market.